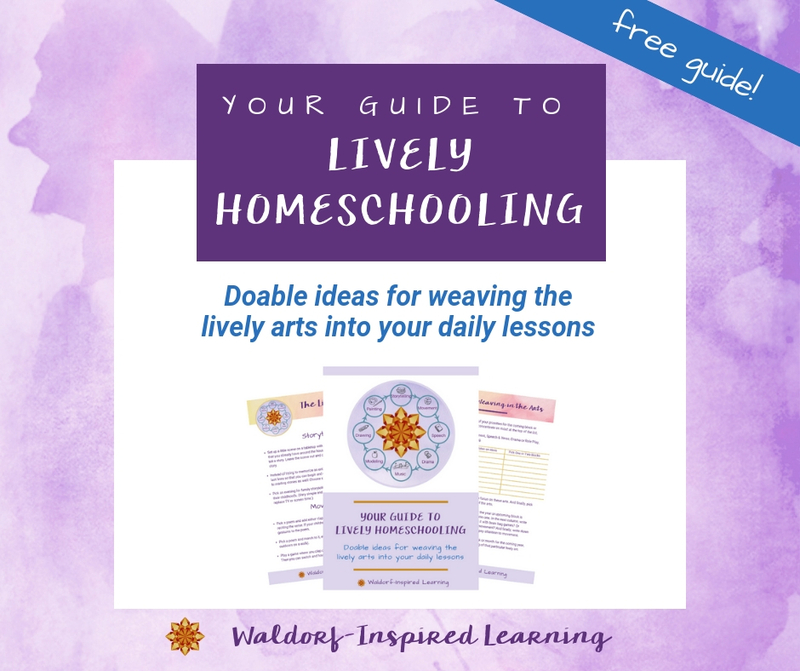 Waldorf education is experiential. It’s founder, Rudolf Steiner, was adamant that we cannot merely tell a child something once and expect learning to take place. We must work with the power of the will in Waldorf education. He was responding to the common classroom practice of the time (almost 100 years ago): teachers lectured and explained while students were expected to listen and take notes. Done. Curriculum covered. Perhaps it’s not much different today! Alison and I both “absolutely loved this lecture!” The high points come in the last two pages, so even if you don’t have time to read the entire lecture, I highly recommend reading the last few paragraphs of the lecture here, or listening to it here. In this lecture, Steiner describes the spirit, soul and body of the human being. Humans differ from animals because our instincts and desires can become motives of will to move us to take action. “To understand someone is to know what motivates that person.” And on top of a motive in our will, we strive to do something better the next time as our will develops. Alison, my partner at the Steiner Cafe, describes it this way: we can only influence the child’s feeling and thus understanding in a good way through the use of repetitive activities — this will eventually cultivate a strong, deep conscious capacity to decide to act. Modern education just promotes a superficial sort of immediate understanding of basically nothing and it leads to nothing — it has absolutely no effect upon the will. But we work with the power of the will in Waldorf education. And what is the best vehicle for developing the will? Artistic activities. Alison: I found this lecture to be life changing in terms of how to think about my planning and teaching. How can I make art the vehicle for drawing out the will and strengthening it? How can I make repetition and joy front and center in my lesson planning? So inspiring!!! In the very last lecture Steiner ever gave before his death, he talked about taking this Waldorf education in an entirely different direction of focusing even more on the arts! 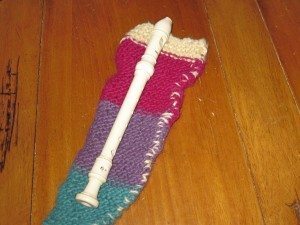 A personal story from Jean: years ago when I was first embarking on this Waldorf journey, I was working with a teacher on developing my skills in recorder playing, form drawing and painting. One of my assignments was to make a tape of myself playing a recorder song every day over the course of two weeks. When I received her written feedback, my teacher wrote that I had a weak will and clearly needed to work on strengthening it!!! To this day and probably for the rest of my life, I will be working on this. Praying the same prayer each night at dinner (ok, we rotate two different prayers), starting my day with the same prayer and ritual each morning, these are things I’ve had to really work on! I am very quick to want to find something new, so repetition and sticking with something are both a stretch for me. Even my goal of finding time to do art every day is a constant struggle. But I keep striving! As we wind up our school years and look toward next year, we can all ask ourselves: what artistic activities bring me and my children great joy? How can I build my lessons around artistic activities? How can I incorporate more repetition into our days and our lessons? This is such a wonderful post! Admittedly my reaction is both “Aha” and “Ugh!” This is an area that I really need to work on! I appreciate the personal story you shared. Your continual striving is inspiring, and offers a new (and more positive) way of thinking about this challenge. Yes, working on strengthening our will is a lifelong journey! Probably particularly for those of us who did not have lots of repetitive activity, artistic activity, or rhythm in our childhoods. 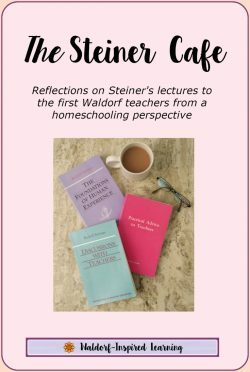 I do so love reading Steiner because I seem to always come away with a different way of looking at Waldorf homeschooling as a result. And thank you for commenting here that my work is inspiring to you; I really appreciate hearing from my readers that my sharing is making a difference in your life. Can you please advise which lecture series this is from? Rebecca, this lecture is from Day Four of the Teacher’s Seminar in August of 1919, Steiner’s lectures to the teachers in the very first Waldorf school. The lecture is published in Steiner’s lecture series The Foundations of Human Experience.